Moti Magri also known as Pearl Hill situated in Udaipur. The hill overlooks Fateh Sagar Lake. The top of the hill has memorial of Maharana Pratap. The memorial has a bronze idol of Maharana Pratap astriding horse named Chetak. It is said that Chetak was the favourite horse of Maharana Pratap Rajput. This is one of the popular tourist sites of Udaipur. This is popular for the light and sound show. 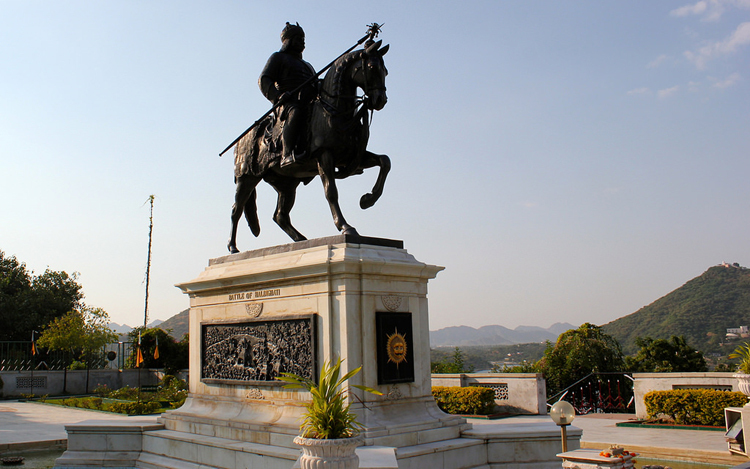 Maharana Pratap Memorial is located on the shore of Lake Fateh Sagar of Udaipur city. One can easily reach here with local taxi, private buses or cab.